Credit Score, The three-digit number that determines your financing arrangements, credit limits, fees & interest rates. You should know for certain how crucial this number plays for approval of financial lending. Consumer affairs manager for Fair Isaac Corp Mr Craig Watts says “The mantra for getting a great score is pay your bills on time, keep account balances low, and take out new credit only when you need it”. One of the best one liner tips to boost the credit score. 1) Scour your report for inaccuracies and take steps to correct them. 2) Because payment history has the biggest impact on credit, this is where you can make the biggest impact. Pay bills on time! Set payment reminders through your bank or creditors, or set up automatic payments. 3) See a credit counselor if you’re having trouble paying down debt, or contact creditors to make a payment arrangement. 5) Pay off debt instead of moving it around or transferring balances. 6) You need to have credit cards! If you don’t have one, get one. Open them only as needed and use them wisely. 7) If you don’t already have one, consider adding an installment loan (auto, mortgage, student loan) to your credit mix. 8) Pay off credit cards before paying off installment loans; this has a greater impact on your credit score. 9) Try to limit credit card charges to 30 percent or less of the card’s limit (aim for 10 percent). 10) Don’t close unused accounts. 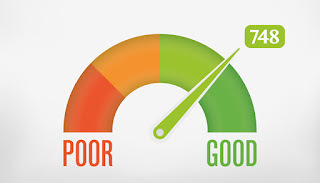 Your debt-to-credit ratio is what affects your credit report, not your interest rate, so even if your interest rate is high, it’s best to keep the card open and refrain from using it. By following the above tips you’ll definitely be able to improve your credit score.